On this day, sixty years ago, Republicans celebrated President Dwight D. Eisenhower’s upcoming birthday with a star-studded televised tribute on CBS. As part of his re-election campaign, Ike Day was a nationwide celebration of Ike: communities held dinners and parades, there were special halftime shows at college football games, and volunteers collected thousands of signatures from citizens pledging to vote. A key part of the Ike Day activities involved the baking of cakes according to Mrs. Eisenhower’s special recipe. Volunteers baked thousands of cakes and delivered them to VA and Children’s hospitals around the country. And, later that evening, these cakes were served at pro-Eisenhower events in every state. In honor of President Eisenhower’s birthday (and the campaign event it inspired), here is President Eisenhower’s Favorite Cake Recipe, as Mamie distributed it to the nation’s newspapers in October 1956. 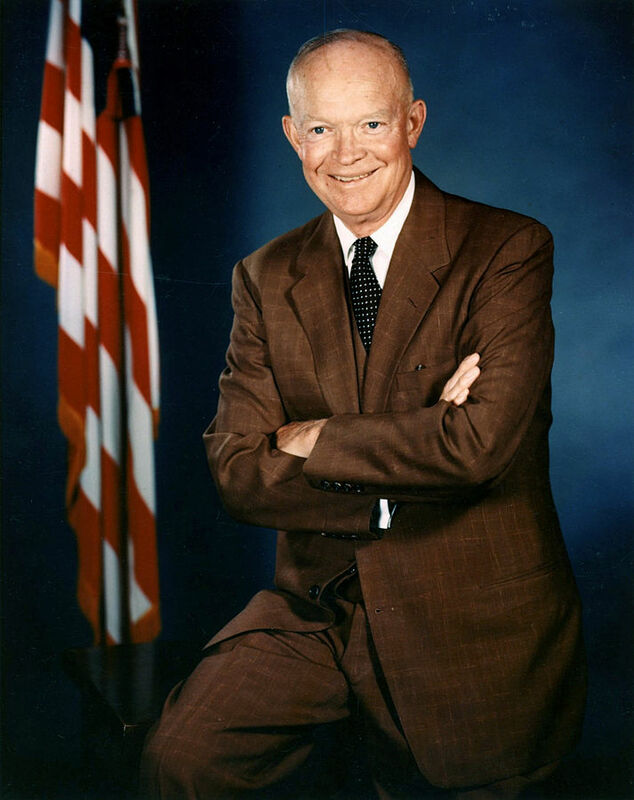 Portrait of President Eisenhower, age 65 (1956) by White House – Eisenhower Library File No. 62-53-2. Public Domain via Wikimedia Commons. Directions: Sift the flour, baking soda, baking powder, and salt; cream the shortening, and slowly beat in sugar, add egg yolks and vanilla. Add cocoa, add flour mixture alternately with the milk. Fold in stiffly between egg whites. Pour into two greased layer cake tins. Bake 25 minutes in 375 degree F. over. OR: Use greased 9-inch square tin and bake 45 minutes in a 350 degree F. oven. Directions: Combine ingredients in top of double boiler; stir until sugar dissolves. Then place over briskly boiling water. Beat with egg beater until stiff enough to stand in peaks – six to ten minutes. Add vanilla, beat until thick enough to spread. During cooling, keep sides of double boiler cleaned down with spatula. With an electric beater, the process may take as little as four minutes. Featured image credit: IMG_6311.jpg by Ryan and Sarah Deeds. CC BY-SA 2.0 via Flickr. David Haven Blake is Professor of English at The College of New Jersey. 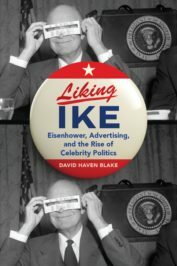 He is the author of Liking Ike: Eisenhower, Advertising, and the Rise of Celebrity Politics. It looks like the cake is a carrot cake with cream cheese frosting — and the recipe is a chocolate cake.